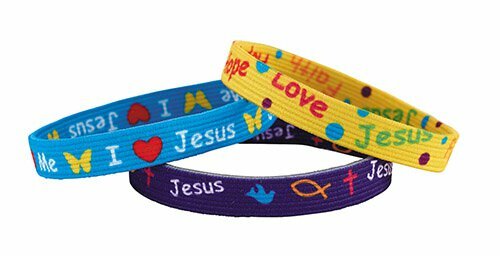 The elastic bracelets are sized for kids and teens to wear snugly on their arm as fun faith reminders. Each package comes with three assorted designs. Perfectly priced for give-aways at youth events and gatherings.